The last year has seen the publication of not one but two books on Sir Peter Tait and his production of uniforms for the Confederacy. A previous review discussed Imported Confederate Uniforms of Peter Tait & Co., Limerick, Ireland by Frederick R. Adolphus. Now Craig L. Barry and David C. Burt have joined forces to produce Supplier to the Confederacy, Peter Tait & Co, Limerick. The two authors had already kicked off the Supplier to the Confederacy series with S. Isaac & Co, London. This book is an excellent addition to the available literature on Peter Tait and the uniforms he produced for the South. A significant amount of research has been undertaken not only into the Tait contracts with the Confederacy and State of Alabama, but also on his rise to prominence. The authors outline how the Scotsman revolutionised his industry by creating production lines using steam-powered sewing machines. Whereas many uniform manufacturers relied on home seamstresses to make their suits, Tait’s method was capable of producing vast quantities of clothing, and gave him a considerable edge in the market. The background to the signing of the contracts with the South and the important role of Peter’s older brother James is outlined, as is the company’s business relationship with Alexander Collie. The author’s describe the latter as ‘something of a scoundrel’ and indeed their research into the man would seem to bear this out. Barry and Burt provide new detail on Tait’s use of blockade runners, and are able to put some long-held misconceptions to rest with regard to the extent of the Tait fleet. Contrary to what has been written elsewhere, the only ship in which he owned a share was the Evelyn, and they demonstrate that two others with which he is often connected, the Kelpie and Elwy, were never contracted by the Limerick company. As would be expected the book explores the surviving Tait uniforms in detail, including a fascinating section on where the business sourced its wool. A compelling argument is put forward that suggests that a number of the Tait style Confederate jackets were not in fact produced by Tait at all. The story does not end with the conclusion of the Civil War; the attempt by the United States Government to sue the company is described, as is the sad story of Tait’s ultimate decline and fall, a process which seems to have begun following his decision to embark upon a political career. 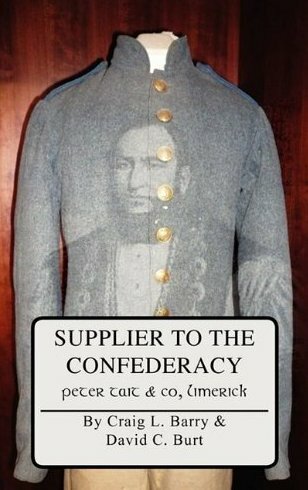 There is no significant overlap between this book and Imported Confederate Uniforms of Peter Tait & Co., Limerick, Ireland, which focuses more on the uniform particulars of the Tait clothing. Indeed both compliment each other well, and together they provide the two most significant publications on Tait’s relationship with the Confederacy yet produced. Supplier to the Confederacy, Peter Tait & Co, Limerick contains no fewer than 16 appendices, providing additional detail on everything from blockade runners to dyestuffs to Tait’s obituary. At 131 pages including the appendices it is a short and enjoyable volume, albeit one which is absolutely packed with detail. The authors’ impressive research has helped to bring many facets of the Tait story to light, and the result is a must-read for anyone interested in Confederate uniforms or indeed the Confederacy’s trade with Europe. 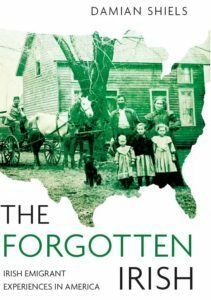 It is also an important addition to the literature available on the Irish experience of the Civil War. Barry, Craig L. & Burt, David C. 2011. Supplier to the Confederacy: Peter Tait & Co, Limerick. 131pp.